After the incredibly hot and picturesque Huacachina it’s time for the next leg of the journey. Walk through an alluring Pisco Vineyard, and see the famous Nazca lines for yourself from the viewing tower. Finally arrive in the stunning city of Puno, famous for being right by Lake Titicaca, the highest Lake in the world. Once departed from Huacachina, it can feel like a long journey ahead to Puno. 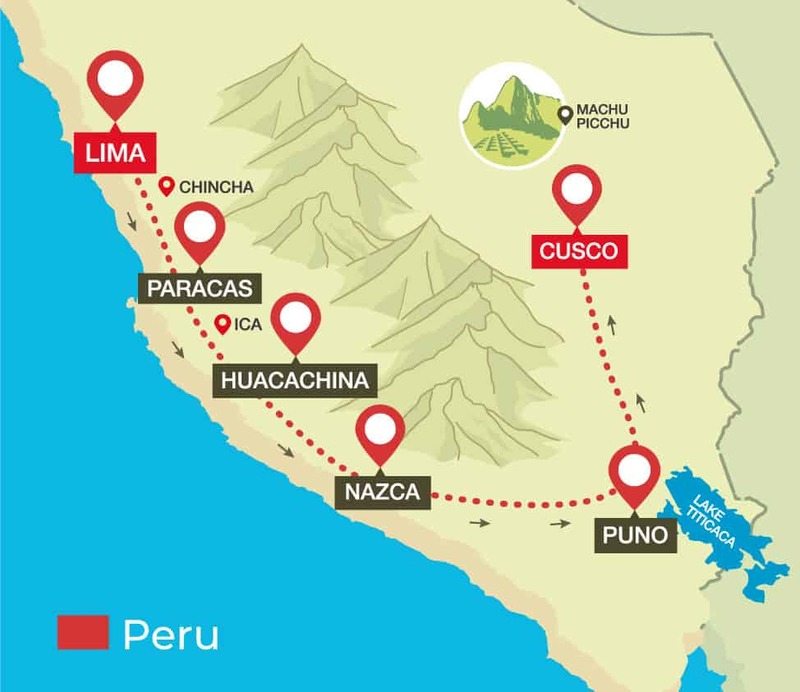 However, we’ve found the perfect local destinations just off the beaten track where you can learn about and experience some of the most interesting parts of Peruvian culture. Finally you’ll arrive to Puno, a charming city, well-known for being on the famous Lake Titicaca, the highest Lake in the world! Nazca Lines Flight: If you want to do the Nazca Lines Flight, you can sign up for the private shuttle service that we help organize through our onboard guide. The shuttle departs Huacachina at 8:30am, you take the flight at 11am and then you can meet our Peru Hop bus at 7pm in Nazca.